For Thanksgiving, despite my thinking it's a terrible holiday, Ellen and I did the whole turkey and mashed potatoes thing. Then I went a little crazy with the chocolate mousse, so we had delicious dessert that lasted up until Thursday. Unfortunately, the mousse is no longer on the loose. Fortunately, Germany offers several other options. They are available at nearly every corner backery, and come in all sorts of shapes and sizes. 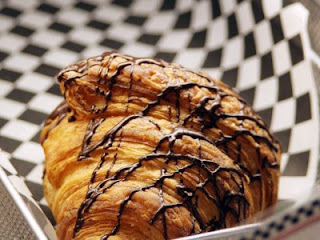 The classic croissant often comes filled with Nutella, a delicious chocolate hazelnut cream filling. Of course, sometimes the classic is drizzled with chocolate syrup, or sprinkled with carmelized sugar on top. In other words, Nutella filled awesome, drizzled with drops of liquid and/or sprinkled awesomeness. 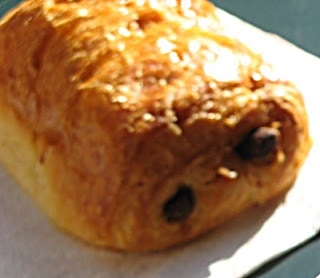 There's the bar croissant, a plain jane pastry filled with delicious chocolate chunks. My personal favorite. 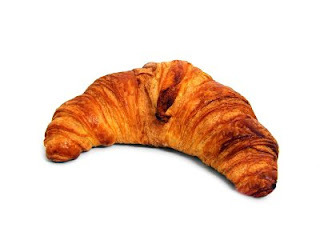 And lastly, the football-shaped croissant. 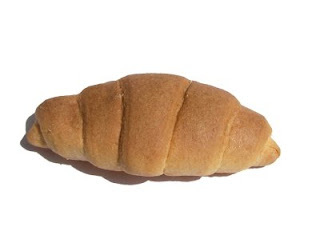 Very similar to the classic, this one usually comes packaged and sold in grocery stores. Not amazing, but a solid dessert. These are small chocolate squares filled with a Nutella-like hazelnut/chocolate filling. I get a small stomach ache every time I eat them, and then I black out from happiness overload. 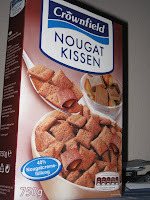 I never expected I would like chocolate in Germany so much. When I was a kid, every time I was in the cake mix aisle, I would look at the German chocolate cake mix and be supremely disgusted because it looked like vomit. To this day, I still think it does. I'll spare you by not posting a picture, but click here to see one if you're curious. And thus ends my dessert manifesto. Now you can see why 8:30-9:00 pm has become my favorite time of day.